Just a dozen days to go before the critically acclaimed David Bowie is exhibition will make the final stop of its world tour at the Brooklyn Museum from March 2nd to Jul 15th. 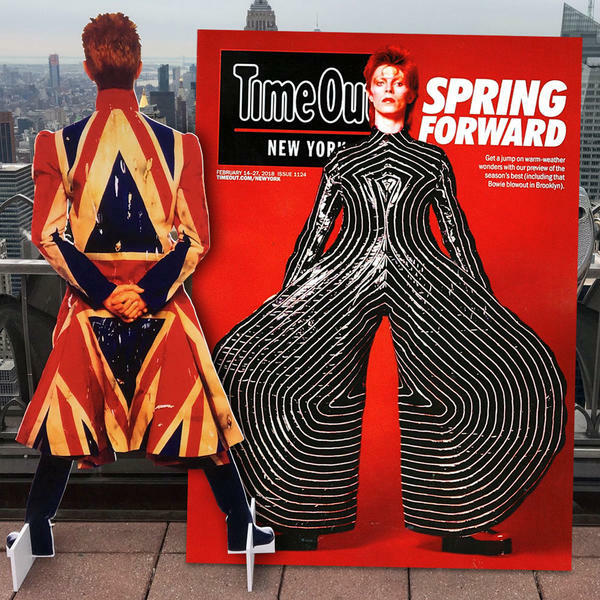 Keep an eye on their Facebook Page for a bunch of Bowie standees dotted about the Big Apple and for general updates. FOOTNOTE: Obviously, that's the current edition of TONY pictured with the Earthling.